The Seven of Wands from the Rider/Waite/Smith deck is one of the easier cards to read. The man on the hill is defending himself from unknown attackers. The expression on his face and the fact that his shoes don’t match tell us a lot about his state of mind. He is having difficulty meeting the challenges and overcoming the obstacles before him. 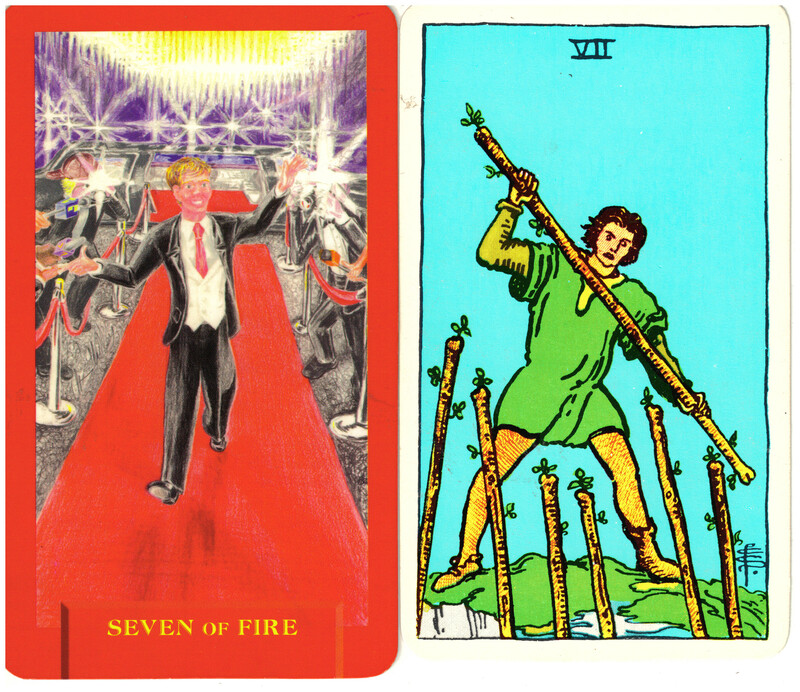 Today’s Journey Tarot brought this concept into the modern age of paparazzi and celebrity harassment in the Seven of Fire. Every life situation has pressures. There are times when we can’t eliminate them. We can choose to persevere, or allow the adversity to be a catalyst for failure.